Arden Cogar Jr., a trial attorney from West Virginia, is a 5-time U.S. champion in the STIHL® TIMBERSPORTS® Series presented by Ram Trucks. In this first of a two-part series, Road to the World Championship, he shares his experience winning in the U.S. In part two, he’ll share what It was like to prepare for and represent the U.S. in Lillehammer, Norway in 2012. 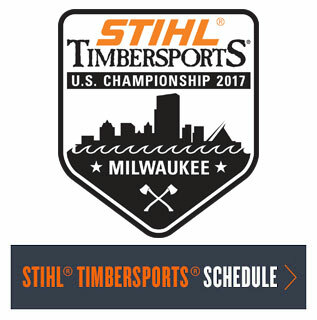 This year’s victory in the STIHL® TIMBERSPORTS® Series U.S. Championship meant a great deal to me. The event was hosted by the Great Smoky Mountain Lumberjack Feud in Pigeon Forge, Tenn., only five hours from where I grew up in Webster Springs, W.Va. My mother and father were able to attend the event and cheer me on. My father, Arden Cogar Sr., last competed in the STIHL TIMBERSPORTS Series in 1996. He was 62 at the time. As a third-generation lumberjack athlete, I spent my childhood traveling to contests with my father and watching until I was old enough to compete. My father has always been a man of few words, but the encouragement he relayed through my wife Kristy brought out the best in me. I was at peace with myself and calm in my place in life. I knew that no matter the outcome, I would smile and be proud of who I was and what I have done throughout my life. Being handed the keys to a brand new Ram 1500 truck was overwhelming–what a great prize to receive for being the U.S. champion! I still don’t believe it’s real. I am one of the first to own the 2013 model of the Ram 1500 truck and I (and my wife) could not be more excited. I have been involved in lumberjack sports my entire life and am forever grateful to the opportunities and gifts it has given me. Many years ago, I dedicated myself to promoting the sport, raising money for events, hosting events, gathering wood, training younger axmen and sharing my great experiences. My career may be practicing law, but STIHL TIMBERSPORTS is my true passion. I intend to keep giving back to the sport in every way I can. Read Part 2 "PREPARING FOR LILLEHAMMER" here.